I can not even believe this is already spotlight number 4 and that today is the last day of April. Where in the actual heck did the last 4 months of 2017 go, amiright?!? It’s like I blinked and tomorrow is May! 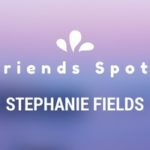 Anywho – let’s go ahead and get right into today’s Bloggy Friend Spotlight – Jessica Spivey!!! 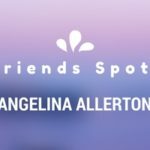 I met Jessica in the Tampa Bay Bloggers, and if you haven’t guessed by now I’m featuring as many of my local bloggy friends first before I start going nationwide and ultimately international. I’m biased, and that’s allowed because my city, my love, my blog! So there. LOL! Still, I love sharing every blogger’s spotlight, and outside of Tampa is coming soon – so if you want in on this, fill out the form here! Okay, back to Jessica. How did you get started? I started to blog after we found out we were pregnant as a way to share our journey with family, most of which lives far away. After a miscarriage and a healthy pregnancy, it was time to loose the baby weight and Tampa Mom Runs was born. 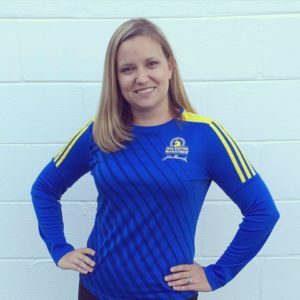 I started running and sharing my journey with others. What advice would you give to someone just starting their blog? Pick a unique name that really explains who you are! A cute saying can be your tag line, but make sure that your name is something clear and concise! If you had it to do over, is there anything you would have done differently? 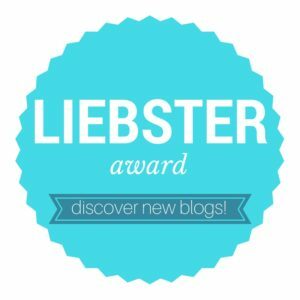 Who do you consider your bloggy mentors? When you have a blogging question, where is the first place you go for the answer? I google it! If I can’t find the answer there – I throw the question out to our local Tampa Bay Bloggers for help! What are your plans for the future of your blog? Keep it forever. As my blog as evolved, I have become a certified Social Marketing professional through HootSuite and now run several social media accounts for local businesses. How frikkin awesome is Jessica? I think she’s pretty darn awesome. In case you were just skimming (we all do it, it’s cool) – I want to repeat that Jessica does social media for local Tampa businesses. In other words, if you need some help with your social media management- I highly recommend checking Jessica out! 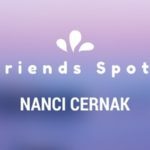 Did you miss the last Bloggy Friends Spotlight on Robert Yaniz? If so, I forgive you because you can still check it out HERE! Don’t forget – I’d love to profile you too, so if you wanna be in on this -fill out the form here! 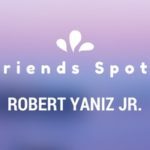 Bloggy Friends Spotlight – Robert Yaniz Jr.
Jessica sounds like a pretty awesome blogger! I made her mistake too with starting on wordpress.com instead of self hosting right away. This is super nice! What a great way to give back! I love her dedication and passion for blogging. She definitely did her best and now she’s very successful! I like her energy! She sounds like an amazing woman. It’s really all about your determination to learn more about the industry that will help you become a successful blogger. Well said! If you really need some suggestions over social media checkout for Jessica. Everyone loves being in spotlight. I’ve heard about Jessica! 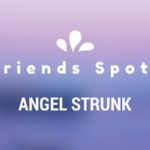 gonna share this blog to my friends! That’s great! I am glad to know all about this. This is really helps to everyone. I will have to check out her blog! 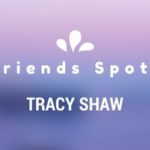 I always love to hear about other bloggers and their experiences in getting started and maintaining such a hectic occupation. 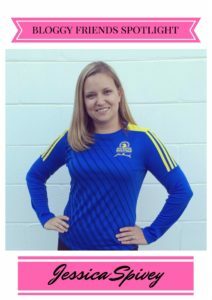 I also love finding a good mom blog that I can follow for inspiration! Thanks! It’s nice reading other people’s spotlight. She sounds like an amazing woman. It is nice to be able to read about how successful bloggers started out. It is an inspiring story and would really motivate us to do more. Jessica is one awesome woman! Thank you for sharing this post about her. It such a great spotlight! I like the way you delivered every detail in this post. Its really awesome. It such a great spotlight! I like the way you deliver every detail in this post. Its really awesome. I also love my Sony camera. It is a must have and it has wifi capabilities! woo hoo!